Believe it or not, SampleRadar's life is actually quite structured, but sometimes, it's time to throw caution and order to the wind and embrace the unpredictable. Hence this week's collection, which gives you sounds that don't necessarily conform to any strict musical rules. The random sequence samples are split into eight folders, each of which is named according to the type of sounds that are contained within. The BPM for each loop is listed in its filename. 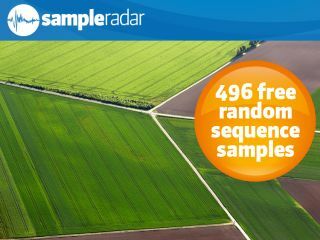 The random sequence samples are supplied in a zip file, so you'll need to extract them before you can see them. Enjoy!